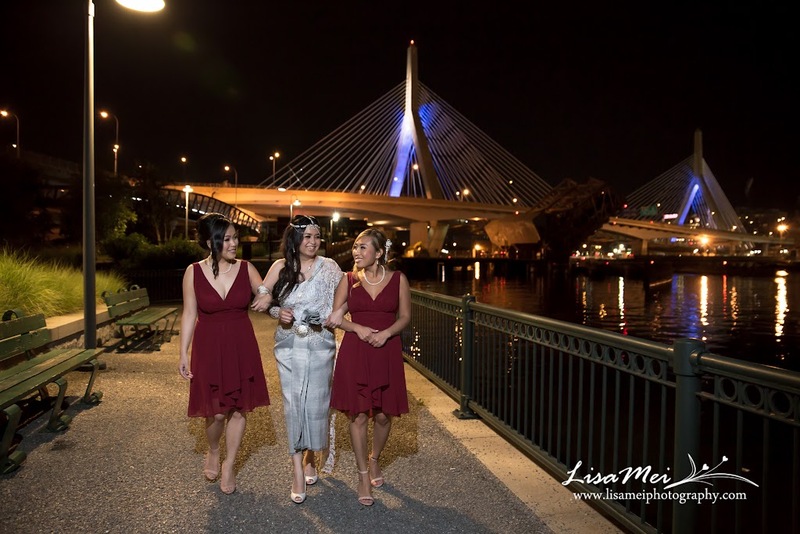 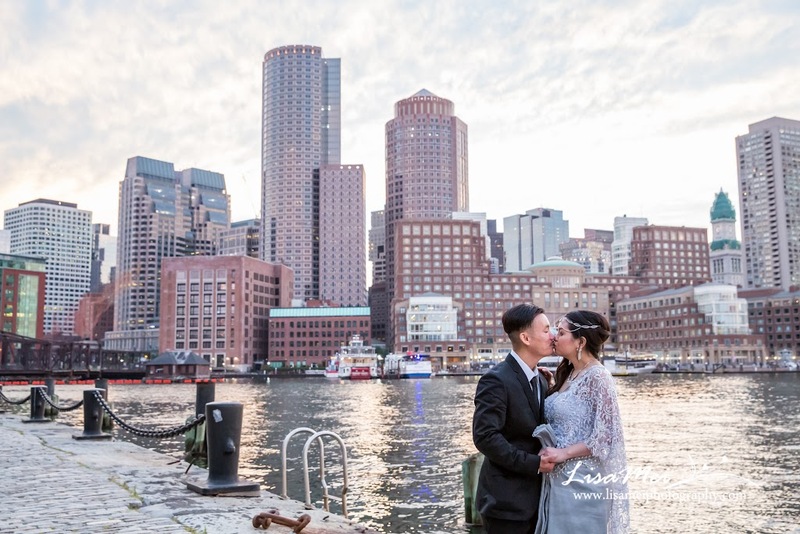 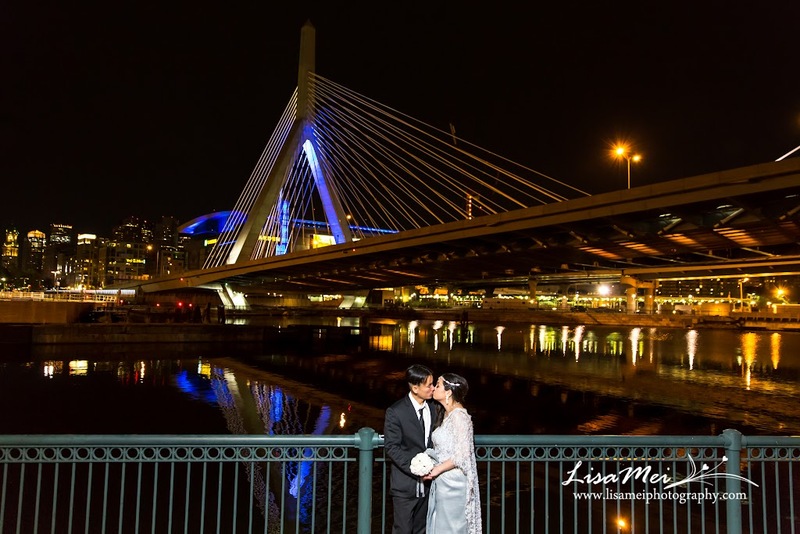 Less than one month till Rose and Cong’s big day and they decided to have their pre-wedding photo shoot at Boston at night especially with the Zakim Bridge! 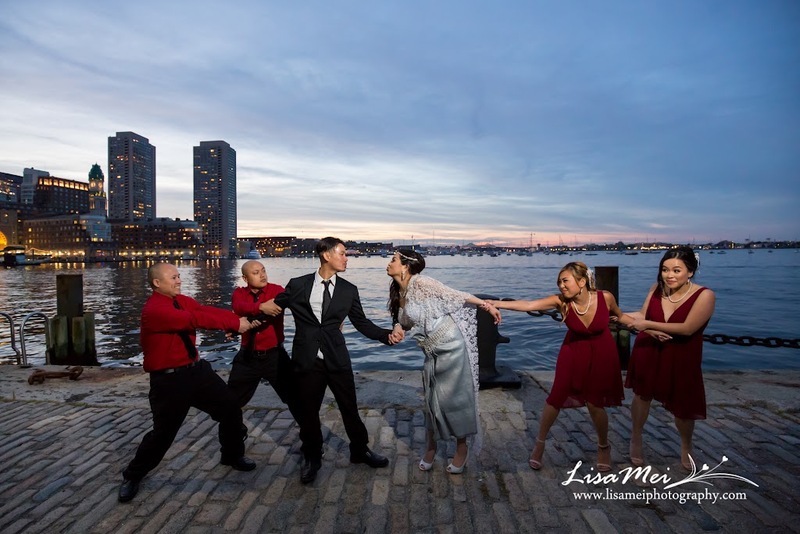 They also have their adorable son with them for some family shoots as well as their bridal party! 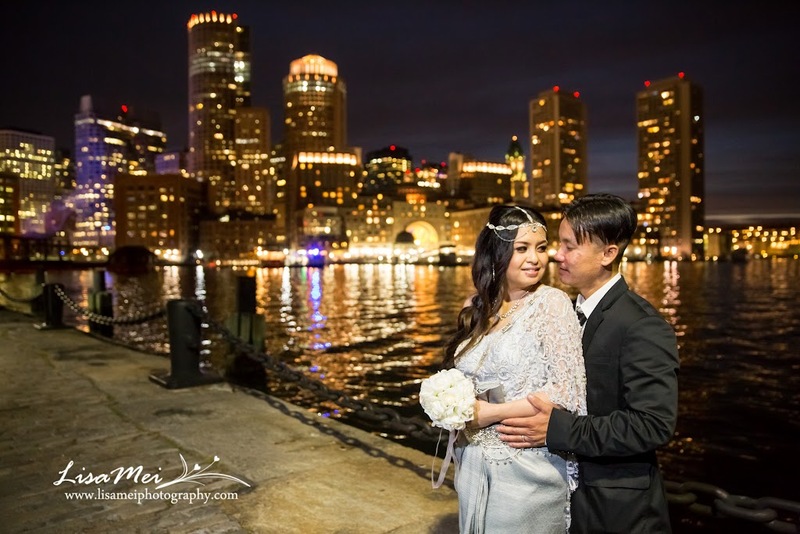 Luckily, the weather was wonderful – warm enough at night and not overly humid. 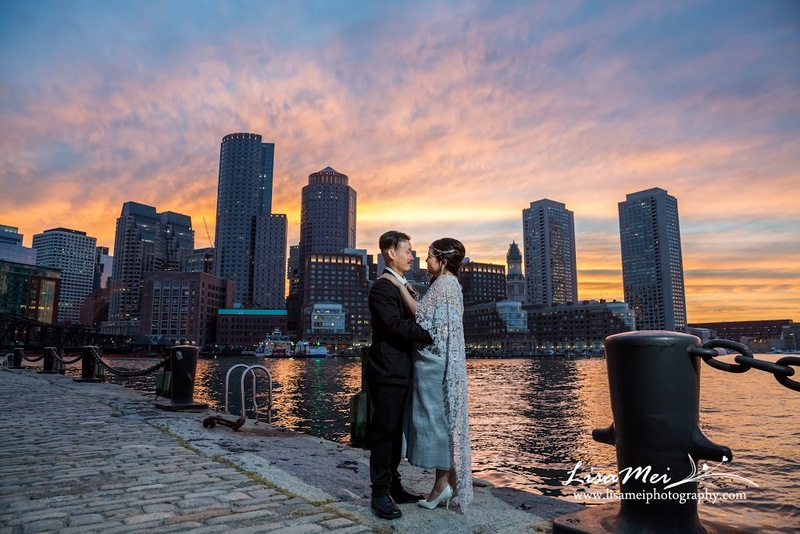 We met just before sunset for sunset photos and then the beautiful blue hour with Boston Harbor as the backdrop! 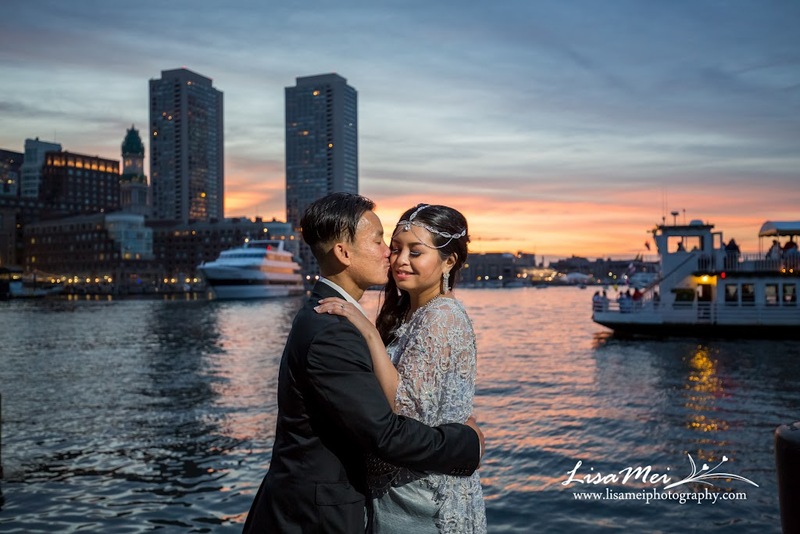 Rose was dressed in her traditional Cambodian costume, wow so pretty. 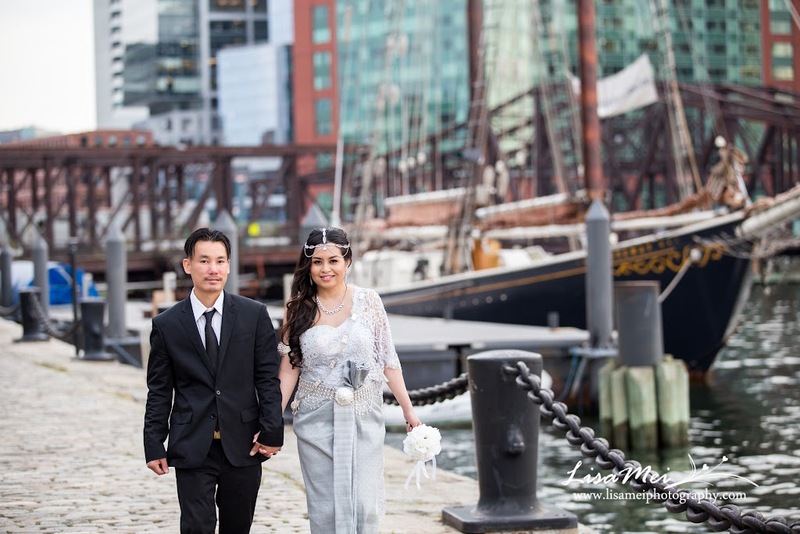 I loved how her traditional outfit blended with the modern architectures of the Boston waterfront. 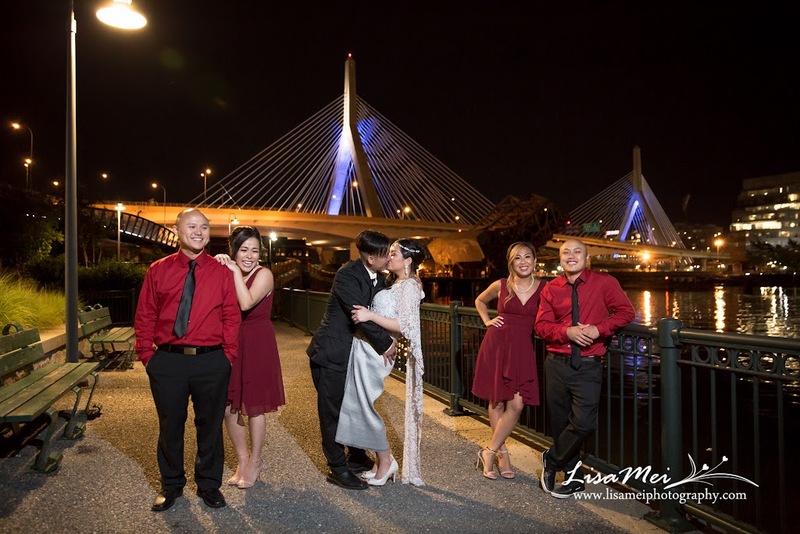 Her bridal party were dressed in red/maroon, the color really pop at night. 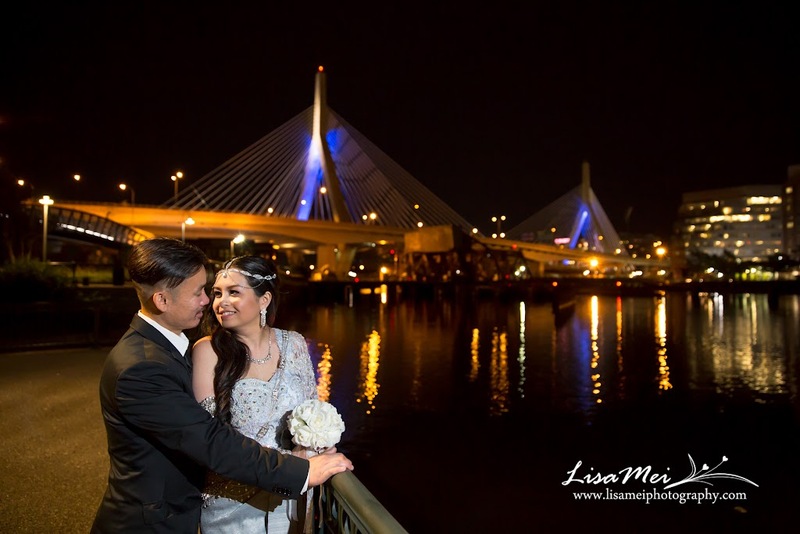 Next, we headed over to Paul Revere Park for photos with the Zakim Bridge; it is where Cong and his friends go fishing. 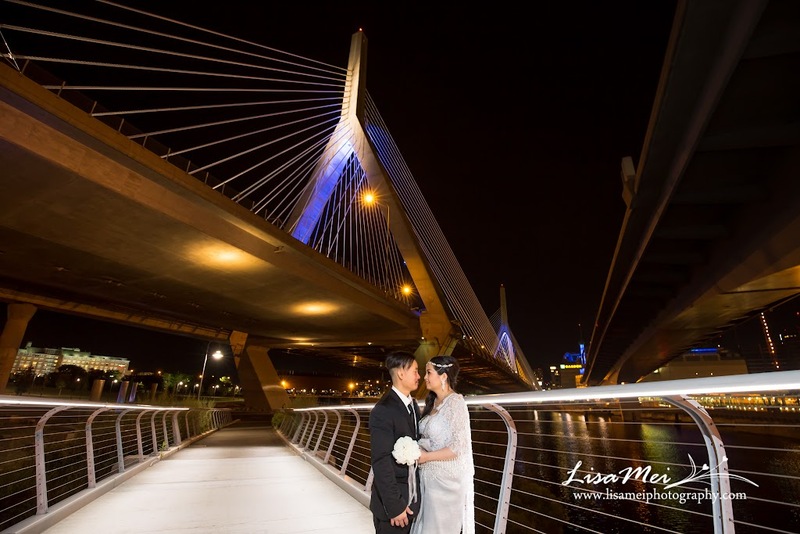 Months ago, I went to Zakim Bridge for night photography of the bridge and thought it would be awesome for night portraits…..it came true 🙂 Thanks to Rose and Cong!